For people with good credit, they probably won’t have any problem obtaining a regular credit card. However, for many who either don’t have a credit history at all or have a less desirable credit, the only way to build or rebuild credit is getting and using a secured credit card. Since there are occasions, such as rent a car or book a hotel room, when a credit card is usually required, you sometimes can’t completely avoid using credit card. To understand how secured credit cards work, you need to know what a secured credit card is. 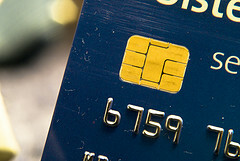 Unlike a regular credit card which allows the cardholder to “borrow” money from the card issuer to make a purchase (of course, cardholders agree to pay issuers back the balance or interests will be imposed), a secured card requires a security deposit before the card can be used and the credit limit of the card usually equals the amount of deposit. Where Can You Get a Secured Credit Card? If you want to get a secured credit card you can’t just go to any bank and apply for one because not every card issuer offers secured cards. Following are some secured credit card offers. None of them requires credit history to apply for the card and all of them report payments to major credit reporting agencies, which is essential to establish credit history. Applied Bank Secured Visa Card: Applied Bank Secured Visa Card has a fixed 9.99% APR for purchases and cash advances. Credit limits range from $200 to $5,000, depending on the amount of deposit. The card reports card activities to credit bureaus. Annual fee is $50. Public Savings Bank Secured Card: Public Savings Bank Secured Card currently has 11.24% APR. Security deposit starts from $300 to up to $10,000. Payment information is reported to major credit agencies to help cardholder establish credit history. No annual fee but one-time $79 application fee applies. New Millennium Bank Secured Platinum Card: New Millennium Bank Secured Platinum Card has 19.5% APR. Credit limits from $300 to $5,000. It reports to all 3 credit bureaus. Annual fee is $59 plus $99.95 account application fee. The secured cards you mention are bad deals, even for secured cards. Wells Fargo offers an $18-per year secured credit card, minimum of $300. After a year, you can “graduate” to an unsecured card. After 6 months, they extended my credit limit to $400, with $100 unsecured. Also, look into your credit union. My credit union, UFCU, offers one with absolutely no annual fee, and you get to be enrolled in a cashback program. @MoneyGranola.com I know that credit unions offer some good secured credit cards, but not everybody, including me, uses a CU. The card I listed above are nationally available to everyone who wants to get a secured card. The Wells Fargo card you mentioned seems to be a good one. I will check it out.